Eddie Jones plans to hire a psychologist to prevent the mental scars of England's 2015 World Cup undermining his side's hopes of lifting the Webb Ellis trophy in Japan. Jones claims he still believes England can become world champions in November but admitted the capitulation against Scotland at Twickenham on Saturday, when his side threw away a 31-point lead before George Ford's late try salvaged a 38-38 draw, is indicative of an inability to cope with pressure. It was the fourth time in their past 12 Tests that England have let a commanding lead slip, including during their defeat by Grand Slam champions Wales in Cardiff, and Jones insists it is an issue that must be addressed before they travel to Japan. Jones has employed several sports psychologists since taking charge in 2016, including former England cricketer Jeremy Snape, Dan Abrahams, who has also worked with football clubs, and is currently using Mark Edmondson, the former rugby league player. 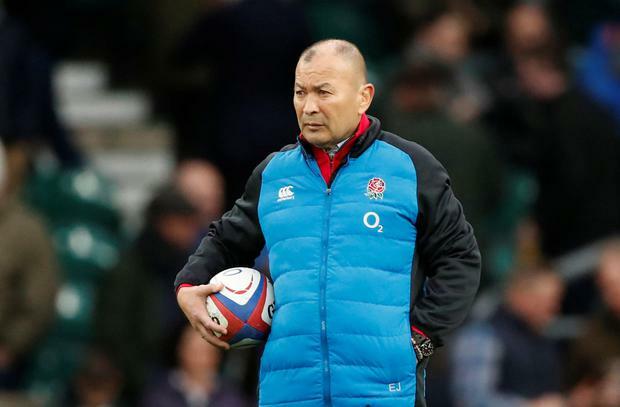 However, Jones says he needs to bring in a fresh approach for England's World Cup training camp to address his side's decision-making under pressure, particularly when faced with a change in momentum. He did not confirm the psychologist's identity but did reveal the new hire would be a woman. It is not yet clear if this will be approved by the Rugby Football Union, however, given the governing body's financial troubles as it seeks to cut up to £10m from its budget for next season. Asked if he intended to bring in a psychologist with a military or police background, Jones said: "Well, it's a combination of personnel, but I've got one person that's a bit of an expert. I'm not sharing that name with you now. We have Mark Edmondson but I'm talking about a different area now. It's about how the team thinks under pressure. "I'll tell you what it's like. It's like we have some hand grenades in the back of a jeep and sometimes they go off when there's a lot of pressure. We have a few of them and we've got to get rid of them. It's the way you think under pressure. The team has probably had it since the 2015 World Cup. "Whenever you have a difficult tournament or difficult games, there's always a lingering thought process there. Sometimes it takes longer than you'd like to fix it, but it is fixable." Jones admitted that he withdrew captain Owen Farrell from the contest because he had lost his "edge". Farrell was replaced by George Ford in the 71st minute after the Scots had produced five unanswered tries. Farrell had gifted Scotland two of those, with passes intercepted by Stuart McInally and Finn Russell, and was lucky to escape a card for a late tackle on Darcy Graham. Farrell had admitted that England "probably gifted them the momentum swing, me more than anyone" and Jones told the BBC's Sportsweek yesterday: "Owen lost a bit of his edge and George Ford has been in exceptional form this week. We know George is an excellent player who can bring something different. We ended up getting a draw due to George's brilliant play." Jones insisted, however, that the mental issues his side had to overcome did not stem from Farrell's leadership. "It's always a team loss, you never lose because of one player," Jones said. "He's the hardest taskmaster in the world and he'll be disappointed with his game. He's a young captain and I think he's developing really nicely. Like any young captain, it takes time. Leadership is about, when I've got the ball I'm a leader, when I'm next to the player who's got the ball I'm a leader. "If we can get some consistency in the way that we think on the field, and that toughness and discipline about doing the right thing, we've got a team capable of winning the World Cup." No 8 Billy Vunipola agreed that the squad needed to fix their ability to cope when momentum swung against them, despite finishing the championship in second place having scored more tries (24 to 10) than Wales. "What most teams probably think now is that we can do all the fancy stuff, but when it comes down to it, can we stay in the fight?" Vunipola said. "That hurts." Meanwhile, the RFU appears to be facing a race against time if it wants to appoint Warren Gatland, who is stepping down as Wales coach after the World Cup, as successor to Jones. Gatland, who has become the first head coach to win three Grand Slams, is understood to be the Lions' first choice to take charge of the tour of South Africa in 2021 and they are considering making an appointment before the World Cup.